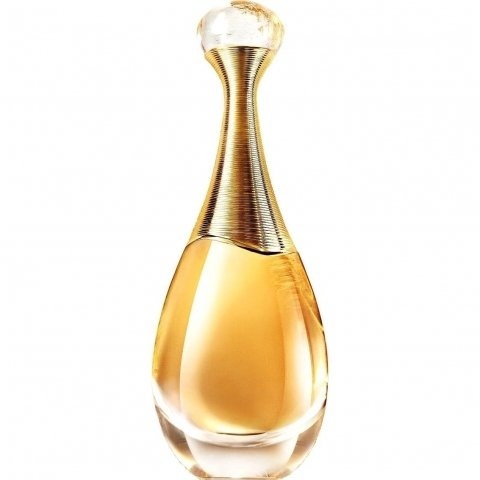 J'adore L'Absolu (2018) is a new perfume by Dior / Christian Dior for women and was released in 2018. The scent is floral-fresh. It is being marketed by LVMH. The face of the advertising campaign is actress Charlize Theron. Just like this J'adore L'Absolu. I once had the version from 2007, a lush sensual creation that I really liked very much. I never owned the 2014 one myself, but I found it very successful. And one day I missed my Absolu from back then. And now, there's another new one, I'm upset after all. But, you wouldn't be a perfume, I was brave and left the scent on my skin. And I must agree with my previous commentator, first a flower overkill of the finest kind! Otherwise I perceive the fragrance completely differently, but I can understand her disappointment. I first have to filter out the individual flowers, but with time the jasmine blossom predominates, rose and magnolia sink. It also crystallizes a slight freshness, the orange blossom sends greetings! I'll say straight away, jasmine and orange blossom lovers will enjoy this slightly soapy fragrance! Everyone else will find that too much in flowers. I don't find J'adore L'Absolu too sweet, but a nice balancing act between fresh-fruity and floral-sensuous, slightly woody ending. This contrast makes this new variant something special, as it is both suitable for everyday use and unobtrusive as well as fine, noble and sensual! The golden nectar-like liquid fits perfectly! I do not find this Absolu as lavish as its predecessors for a long time, seems to be a sign of modernization. Tuberose and ylang ylang are missing, which makes this fragrance not quite as intensely sweet. However, the durability is quite satisfactory. The DNA traces of the normal J'adore are only vaguely to be guessed, in the L'Absolu of 2007 they were even more pronounced. If the J'adore L'Or is too heavy and too expensive for you, maybe you should try this new Absolu. I find this reinterpretation of 2018 really successful and like to wear it very much, it will certainly fit even better in the coming spring. However, one cannot be sure how long this version will remain on the market. The jasmine and rose fields from Grasse are surely all harvested one day, there will be something new again! For me, a good perfume is a kind of work of art, at least handicraft, at a very high level, which is why I personally think that the perfumer, if he has created a beguiling, multi-faceted and perfection-oriented, already further developed version of a fragrance, should no longer touch it. That's a matter of opinion, of course. I already loved the 2007 version of J'adore L'Absolu and even more the 2014 version, which is at the same time a refinement and enhancement. This combination of Damascus rose, Arabian jasmine and Indian tuberose is heaven on earth for me. Magnolia, centifolie and orange blossom should now bring even higher consecrations instead of Damascus rose and tuberose? I was really curious because I thought that without tuberose the fragrance might lose its sweetness, although I never thought it was too sweet. So I tested the new J'adore L'Absolu last week, first on the paper strip and later on the skin. On the paper strip it smelled very intense, almost penetrating, sweeter than the "old one" and provoked me to cough. At least I got a dense jasmine cloud in the beginning (I love jasmine), but it was superimposed and made unrecognizable by the other flower varieties shortly afterwards. The result was a sweet, flowery block of fragrance with no perceptible individual notes. Whether it is probably the centifolie and the orange tree that make the composition so unfavorably penetrating? Maybe tuberose is still present, even if not listed here (Fragrantica lists it as well), and the flowers just kill each other? Applied on the skin it smelled of a renewed, this time several times, cough stimulus somewhat less killing and I could notice after second-short Jasmine luck again the same flowery sweet intensive smell note, which mixed itself unfortunately also within few seconds again to a uniform sweet smell paste. Surprisingly, the scent on my wrist had almost completely disappeared after about half an hour, which in this case was very convenient for me. For me this new fragrance variant politely said superfluous. I hope Dior notices that at some point and serves us back the 2014 version through a back door in a couple of years. Write the first Review for J'adore L'Absolu (2018)!